His Beatitude His Eminence Cardinal Louis Raphaël I Sako, Patriarch of Babylon of the Chaldeans, head of the Synod of the Chaldean, Iraq, said that in the Instrumentum Laborismany issues are named. He laments that there is no mention of young persecuted Christians. 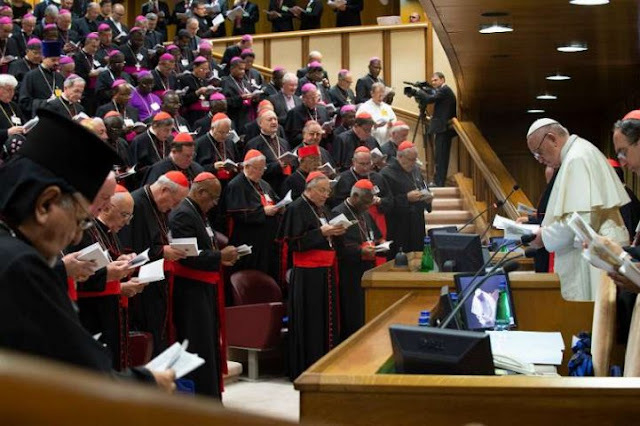 Cardinal Peter Kodwo Appiah Turkson, prefect of the Dicastery for Promoting Integral Human Development, used the image of a “manual” to describe the work of the Synod. The Synod is like a gathering in which young people, with the bishops, are composing manuals for life. He said that as young people write the manual they are guided by values like those from Catholic Social Teaching. These principles, he said, will help give them a basic orientation for their lives.